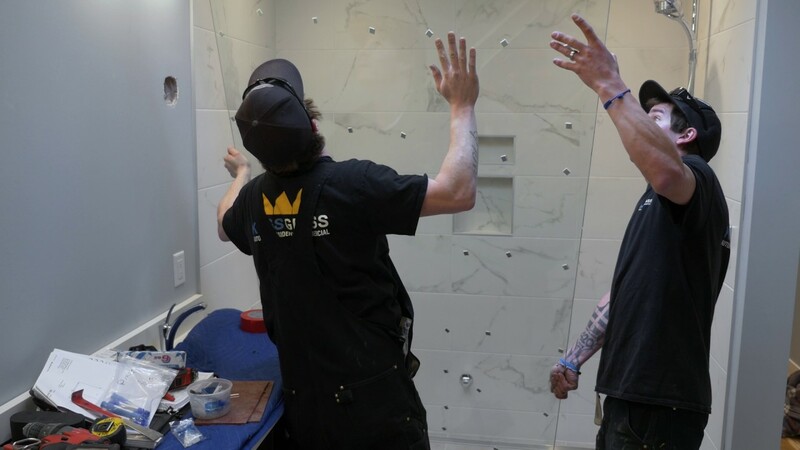 King’s Glass is a family owned and operated business that has been serving Calgary since 1983. Fred Denomme and Chuck King, the original partners, still own and operate King’s Glass today; Fred takes care of our day-to-day operations. In the mid 1980s we began specializing in automotive glass repair, later broadening our horizons to include residential and commercial glass. Our team of 20 focus on providing the best service and quality work to each of our customers, placing customer satisfaction as a top priority. We go to great lengths to accommodate our customer’s needs by providing mobile, after hours, drop off and pick up delivery services. Our fleet of mobile vehicles allows us to be one of the few, full service glass shops serving Calgary from two convenient locations. Quality Rock Chip Repairs $19.00 each! Our family managed business makes customer satisfaction a top priority! We go to great lengths to accommodate customers needs like mobile, after hours, drop offs, pick ups & vehicle deliveries. We pride ourselves in top Quality installations, we don’t leave a job until its finished and take no shorts cuts in the process. Our focus is to meet our customers expectations! Specialty vehicles: motor homes & trailers, antique vehicles, railway cars, heavy equipment. Unique Interiors designs: glass bridges & walls, custom glass doors, specialty signage, fabricated mirrors & frames. We have done everything Custom, just Ask! We stock glass for all the current models in our extensive inventory. We always have the latest & modern glass ready to deliver & install, as its released to the market. So far I must say I am so very impressed with your company. Great service, care and attention to such a small job which most other glass shops didn't even return a call about. I expect the end product will be something I will be very happy with given the pride every person in the company seems to conduct themselves with. Thanks again! I have to pass on the experience I had on Jan. 29,2014. I was at your north branch and upon arrival I was met by the young lady at the desk. She was cheerful and engaging. The tech was also there. He surveyed my vehicle for the damage and told me the chip could be repaired easily. The repair was done promptly and professionally. I had the windshield installed by you last summer and there was no charge for the repair. Your staff was great. You picked the right name for your company, because I was treated like a KING. Well done. I have to pass on the experience I had on Jan. 29,2014. I was at your north branch and upon arrival I was met by the young lady at the desk. She was cheerful and engaging. The tech was also there. He surveyed my vehicle for the damage and told me the chip could be repaired easily. The repair was done promptly and professionally. I had the windshield installed by you last summer and there was no charge for the repair. Your staff was great. You picked the right name for your company, because I was treated like a KING. Well done. Thank-you. In the world today we don't spend enough time thanking those who have helped us. Someone stole the driver’s side mirror glass from our car. For some reason they are having a hard time finding a replacement. If you have time, can you check out auto glass repair places and buy a replacement. I am in need of glass only for a four door, 2000 Honda Civic. The mirrors are not heated. As I am headed to Israel on Wednesday I knew time was of the essence! I called guys first, and got ahold of Jen. She had taken my VERY odd request, ordered me a new part and I can pick up at 3pm today at Edmonton Trail's location. This will make my family ever so grateful and I can't thank Jen enough. I hope you can find a way to thank her for me. I know she's doing her job, but we don't often hear enough words of appreciation these days. Thank you so much Kings Glass. I am forever grateful. In the world today we don't spend enough time thanking those who have helped us. A few minutes ago I got the strangest request from my step father who lives in Israel... Someone stole the driver’s side mirror glass from our car. For some reason they are having a hard time finding a replacement. If you have time, can you check out auto glass repair places and buy a replacement. I am in need of glass only for a four door, 2000 Honda Civic. The mirrors are not heated. As I am headed to Israel on Wednesday I knew time was of the essence! I called guys first, and got ahold of Jen. She had taken my VERY odd request, ordered me a new part and I can pick up at 3pm today at Edmonton Trail's location. This will make my family ever so grateful and I can't thank Jen enough. I hope you can find a way to thank her for me. I know she's doing her job, but we don't often hear enough words of appreciation these days. Thank you so much Kings Glass. I am forever grateful.